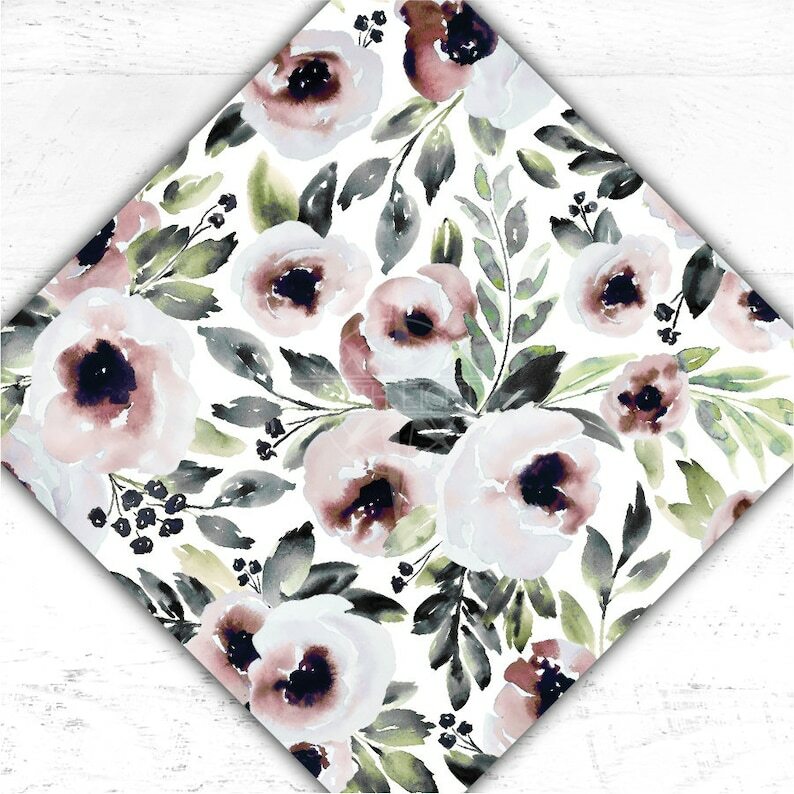 Painted pink watercolor floral on white. Sooooo in love with the beautiful print on the htv! I can’t wait to use it! Such pretty vinyl! Weeds easy, looks great. This seller is AMAZING. I accidentally ordered it to the wrong address the first time and couldn’t switch it around so I reordered it and she included an extra sheet! So sweet. Loved everything about the product and the seller. I asked a lot of questions and she responded almost immediately and was so helpful!